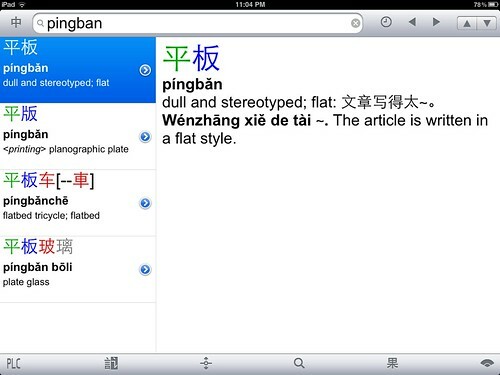 Pretty much everyone knows that Pleco is the best Chinese dictionary app. 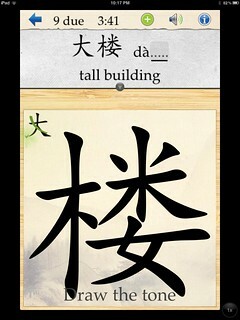 It’s the best free Chinese dictionary app, and it’s got the best paid add-on Chinese dictionaries. The add-on bundles, while not super cheap, are a good investment for any serious student embarking on the long-term journey of Chinese study. 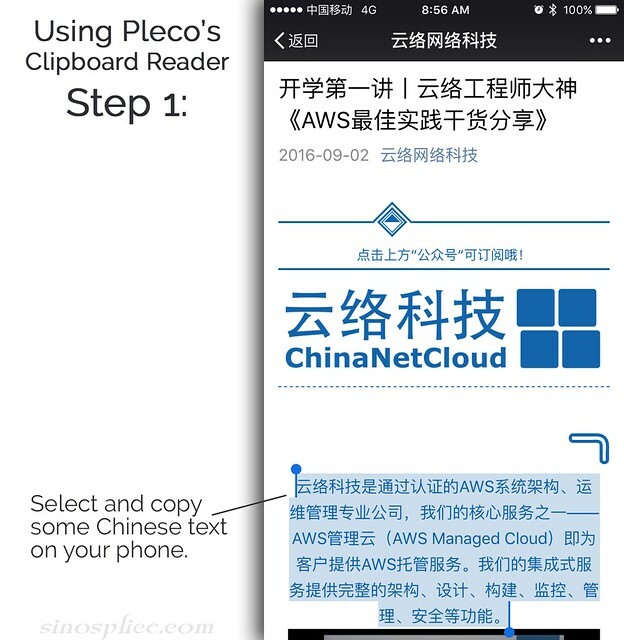 Most of Pleco’s document reading functions are part of our paid “Document Reader” add-on, which you can purchase from the Add-ons screen. 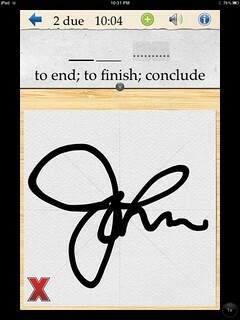 The one exception to this is the “Clipboard Reader” function, which is available even in our free app. 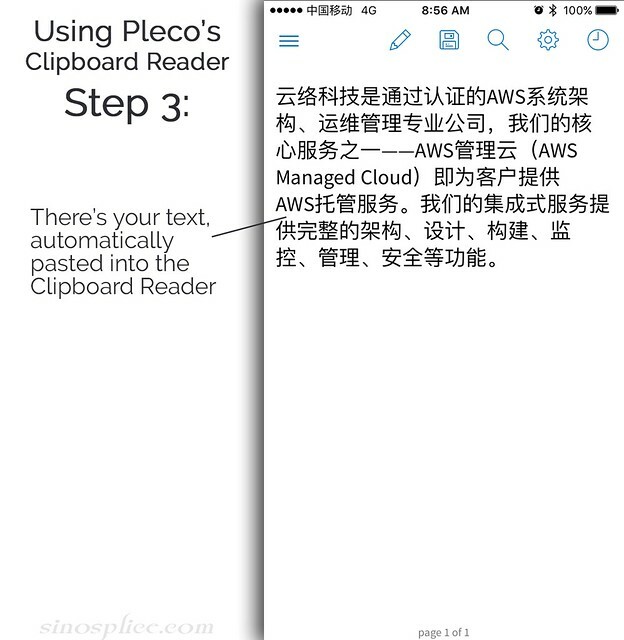 Note: this feature is apparently called the “Clip Reader” in the Android app, but it’s also free. So what is it? Well, if you’re looking up a word, use the Pleco dictionary. 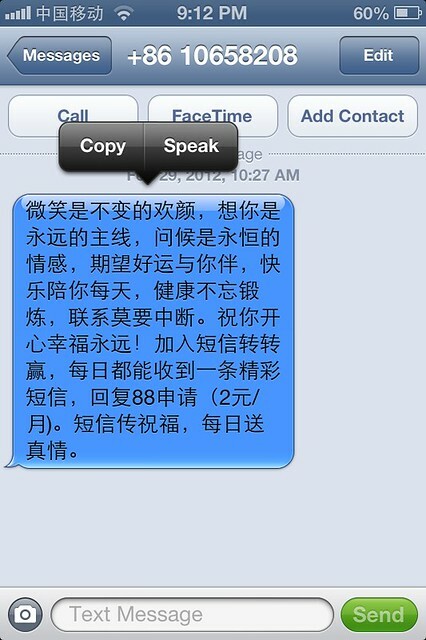 If you have a chunk of text and can’t even begin to read the Chinese, use something like Google Translate. 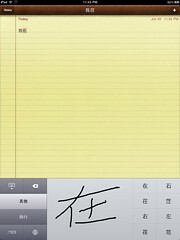 But if you are getting a handle on Chinese characters, the clipboard reader is what you want. 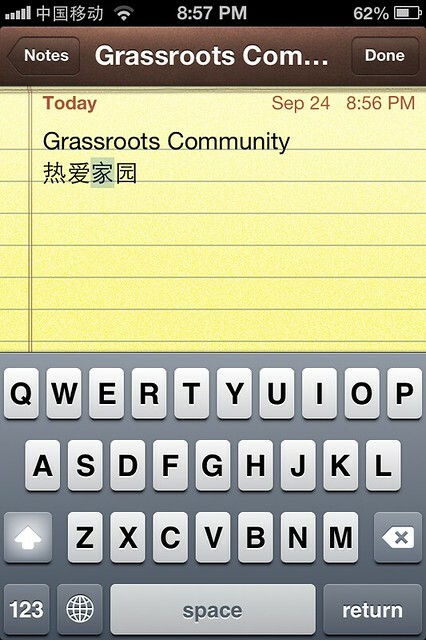 Simply copy the text message or article out of WeChat, or your mobile browser, or whatever. 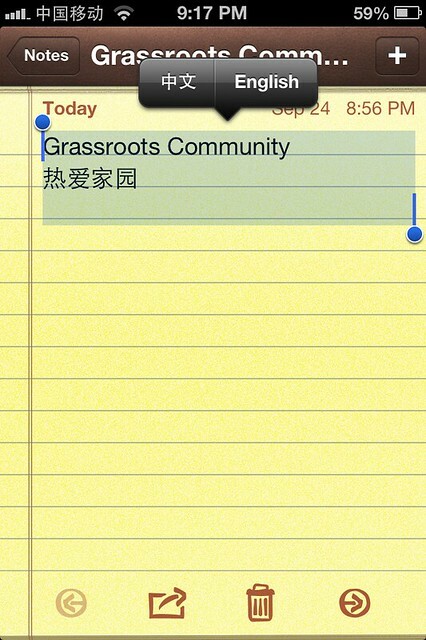 Then open up the clipboard reader, and it’s automatically pasted in. 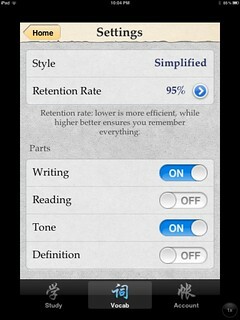 Tap words to see definitions in a popup. I’ve seen people paste whole sentences into Pleco’s dictionary function, and Pleco does a pretty good job of parsing sentences into words and showing the definition for each word. But that’s not really what the dictionary lookup is for. 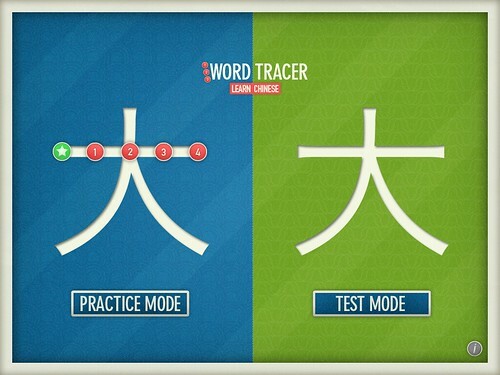 It’s much better for your learning if you first read what you can (without help), and then tap on the words you don’t know to get the pinyin and English. 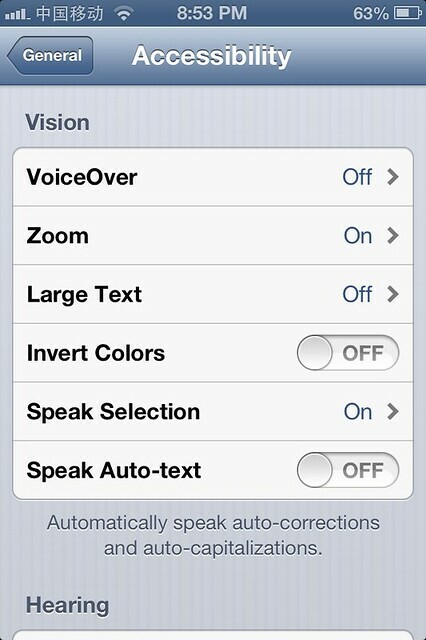 You might also notice that you can also adjust the bounds of the word you’ve tapped on, in case Pleco gets it wrong. You can also use the arrows at the bottom of the screen (which don’t change position) if you’re going to be looking up almost every word. Thanks to Mike Love of Pleco for continuing development of such a great tool all these years, and for making such great features free. Enjoy! 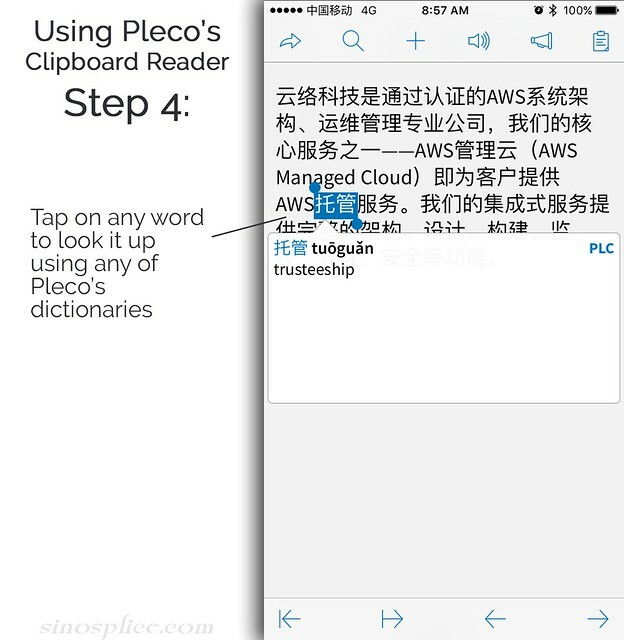 Pleco for Android + More Dictionaries! 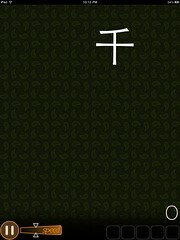 Pleco has announced its long-awaited Android version (screenshots here)! This is interesting to me, because one of the major reasons I switched from an Android phone back to an iPhone was Pleco. I haven’t seen the Android version in action, but looking at the screenshots, it would seem that the iPhone is getting more Love. 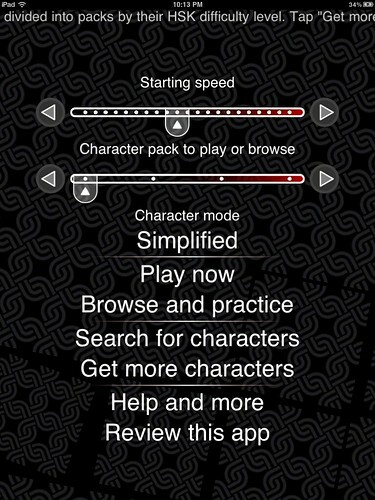 > This is an experimental release of our Android software; we’re making it available now for the sake of people who don’t want to wait any longer for the finished version, but there are quite a few bugs / ugly interfaces, the documentation is almost nonexistent (though you can get a pretty good idea of how it works from the iPhone version documentation), and there are also a few major features missing, so if you’re not very computer-savvy we’d recommend waiting for the finished version to be ready before downloading it, or at least waiting a few weeks to see what the feedback from other testers looks like in our discussion forums. > In general, though, we’re very pleased with how our Android software turned out and with how much functionality we have been able to get into this first release. 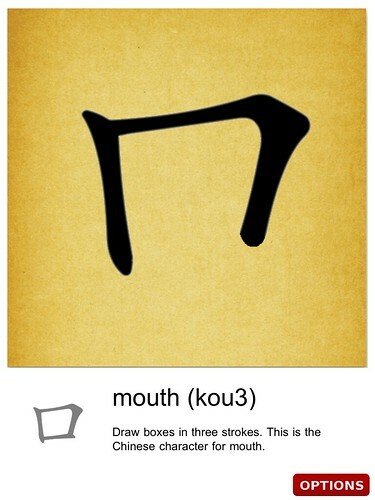 OCR (see below) is working beautifully on Android (both live and still, though currently only in “Lookup Words” mode), as are full-screen handwriting recognition, audio pronunciation, stroke order, and all of our add-on dictionaries. 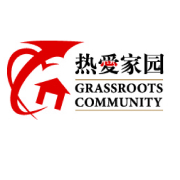 We’ve even gotten a significant portion of our document reader module working; there are no bookmarks or web browser yet, and it’ll choke if you try to load the complete text of 红楼梦, but for short-story-sized text files and snippets of text copied in from the clipboard it works quite well. 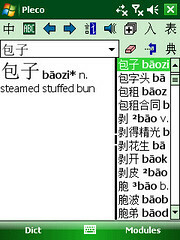 > Central to this is a new feature we’re calling “merged multi-dictionary search”; basically, instead of typing in a word and having to flip between different dictionaries to see which matches they come up with, you’ll get all of the results from every dictionary in a single, sorted, duplicates-merged list, providing better information and doing it in a simpler way. That particular feature is actually likely to show up in an experimental form (off-by-default option) in a minor update we’ll be putting out in a few weeks; we want to make sure it’s working really well before we put it at the center of our product. When I heard that Michael Love was looking for more dictionaries to license for Pleco, my initial reaction was, “why do you need more dictionaries? Add more dictionaries and it’s just too much hassle to navigate through them all.” And that’s a problem that this new “merged multi-dictionary search” would solve. I’m very interested to see what that ends up looking like, and how it affects the user experience. So what are the new dictionaries being added to Pleco? Wow. 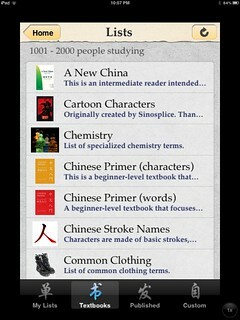 And Pleco is still searching for a decent Cantonese dictionary and a character etymology dictionary to license. 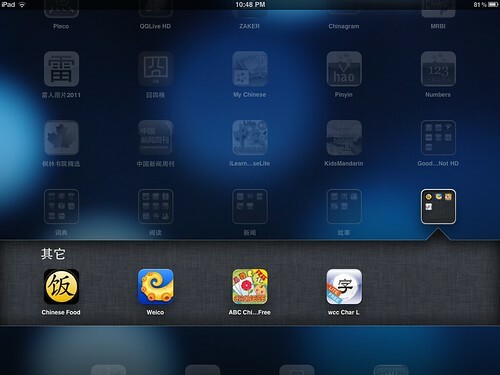 We recently purchased an iPad 2 for AllSet Learning, and quickly set about looking for useful apps for learning Chinese. It didn’t take long for me to realize a basic truth about having an iPad: once you have an iPad, you want to run iPad apps on it, not iPhone apps. 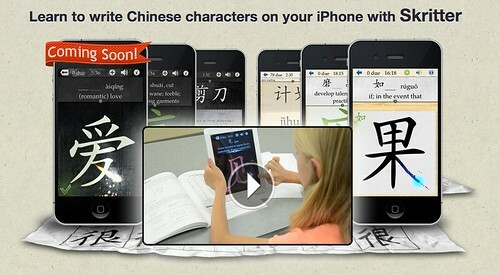 And the there are way more iPhone apps out there for learning Chinese than there are iPad apps. 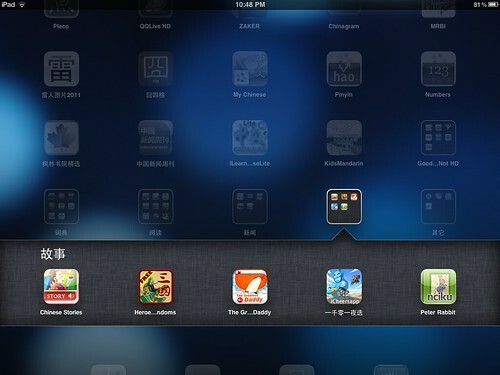 The purpose of this post is to call attention to the decent iPad apps out there. I realize this post isn’t going to stay current for very long, and that’s OK. Rapid innovation is one of the things that drew me to the iOS platform in the first place. 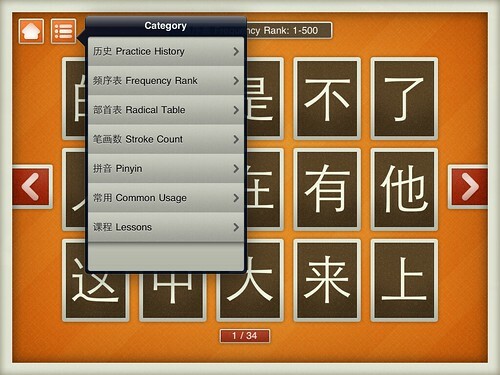 For now, though, I have my top picks for iPad apps for learning Chinese. 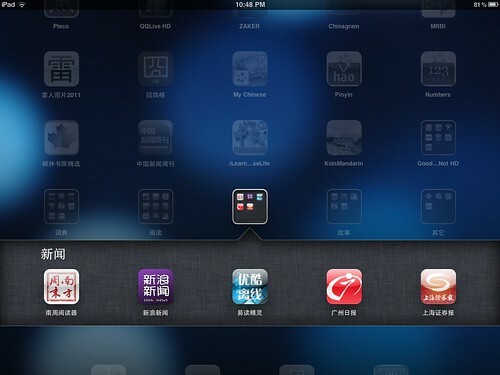 One thing I should make clear in advance, though: many of these apps are not explicitly for learning Chinese; they’re simply apps in Chinese (good sources of more input). Yes, I think I’ve mentioned before that I love Pleco. 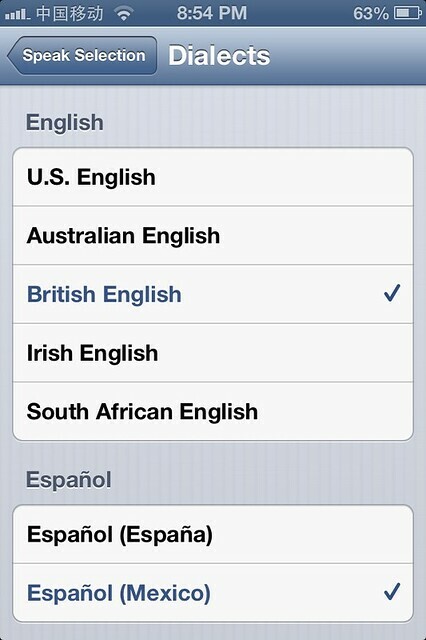 It’s a great dictionary app. 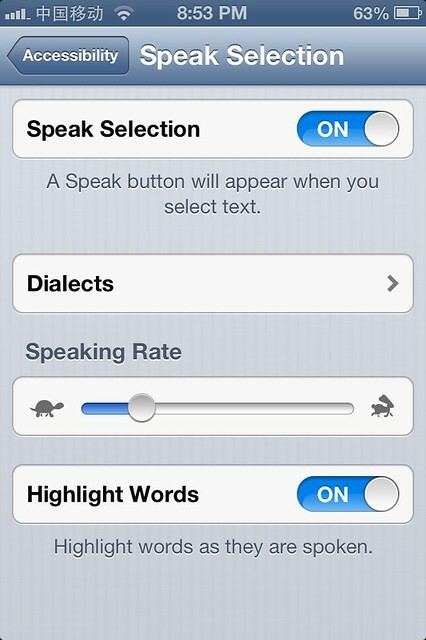 It also supports the iPad, while many other iPhone dictionaries don’t. I won’t say too much about Pleco here. 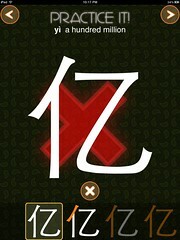 I must admit that I’m not a fan of the QQ IM client. 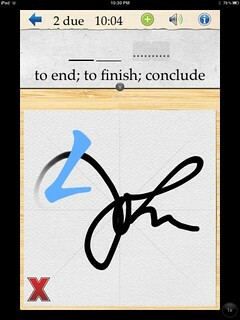 But this app is great. 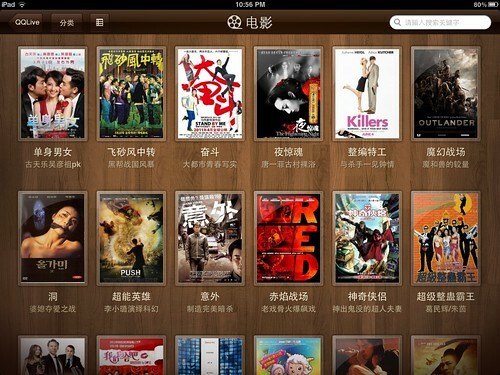 It doesn’t require any kind of QQ login or account; it’s just a simple app for streaming Chinese movies and TV shows, and it’s fast (in Shanghai, anyway). I’ve already watched several movies on it, and while I won’t recommend any of those movies, the app does its job just fine. 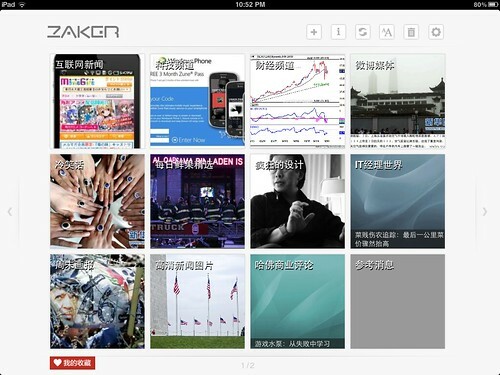 This one is an obvious Flipboard clone, but it’s a really good Flipboard clone. It’s one of those really good clones that tries to one-up the original. 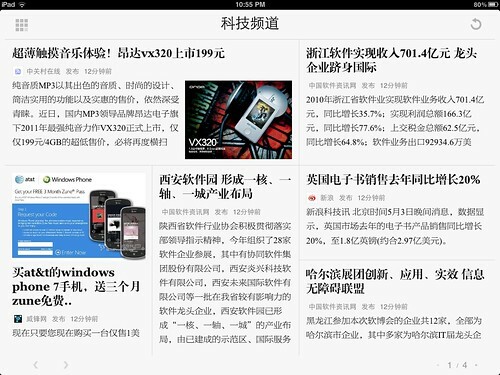 And, of course, it’s got tons of Chinese content ready to be added for magazine-style consumption, whether it’s Chinese news, Chinese blogs, or Weibo. 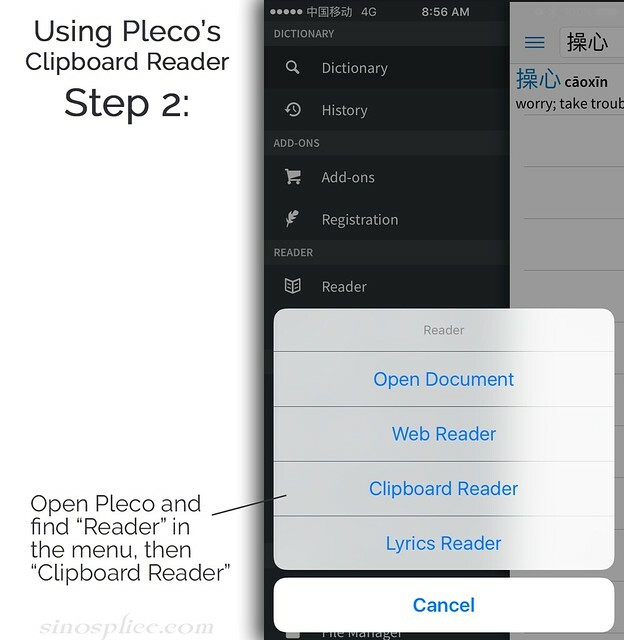 It supports copy-paste, too, so you can pop over to the Pleco Pasteboard Reader when you need to. 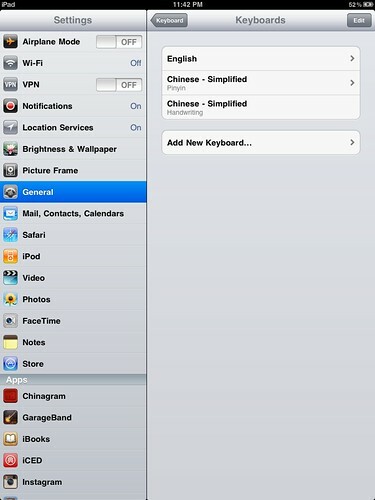 I’ve reviewed this one before already: Chinagram for iPad. 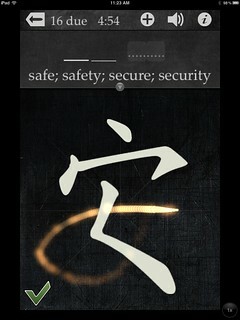 This app is quite simple. 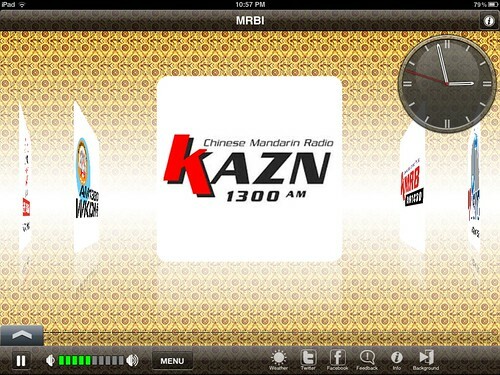 It only offers three Mandarin stations and three Cantonese stations (6 total), but it works just fine. 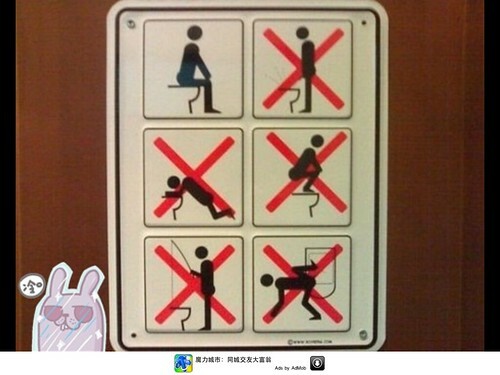 This is just a big collection of silly photos from the internet. Some are funny; many are just bizarre. 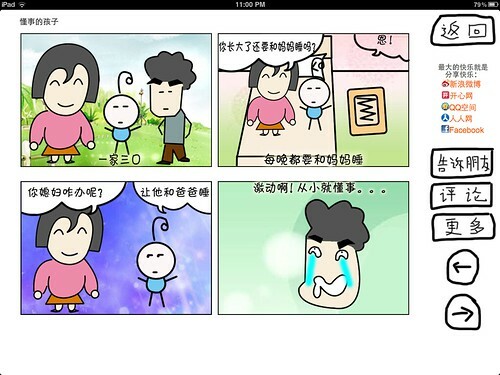 A collection of poorly drawn comics of the 冷笑话 (dumb joke) tradition. 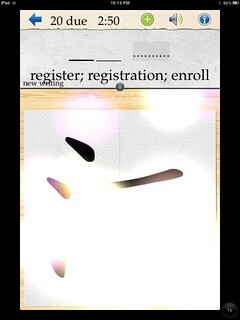 This app, like the last one, demonstrates how simple an iPad app can be. 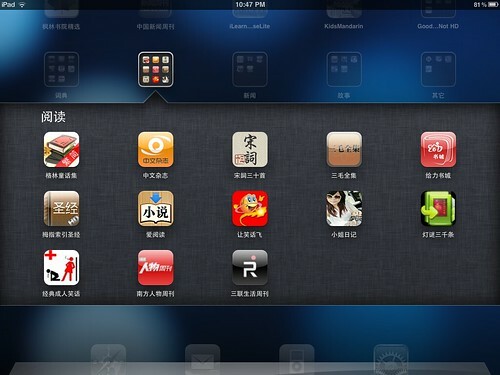 I’m grouping all these apps together because they’re all by one company, called TrainChinese. 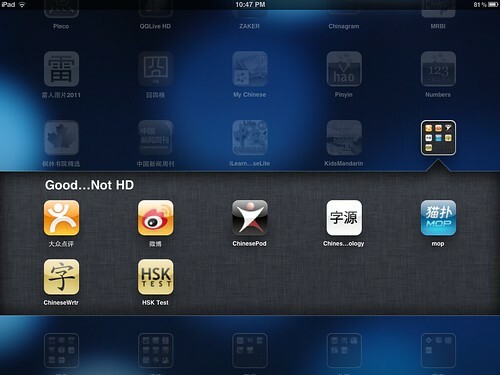 While these apps aren’t revolutionary, they’re of good quality and exist in iPad versions. 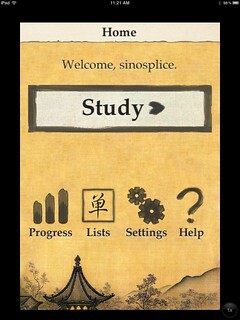 Sadly, not many apps for learning Chinese have met that simple requirement. They all seem to have free versions which are somewhat limited, trying to get you to pay. 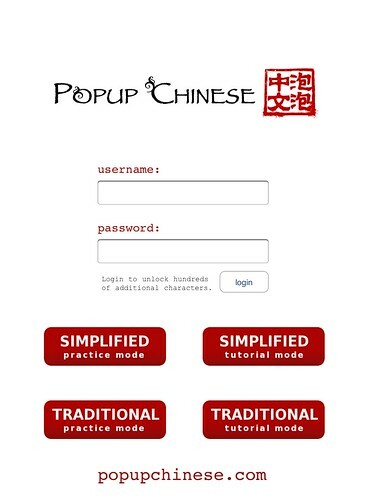 I recommend the pinyin trainer and number trainer to beginners. 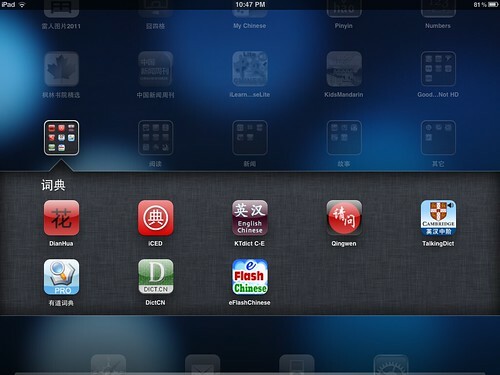 My list of really noteworthy iPad apps for learners of Chinese ends there. 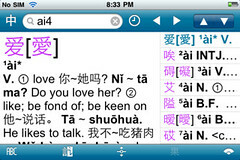 There are a few others worth pointing out, though… The four others pictured but not covered are: 枫林书院精选 (an ebook reader that comes with a number of titles), 中国新闻周刊 (China Newsweek), iLearn Chinese Characters Lite, and Kids Mandarin. 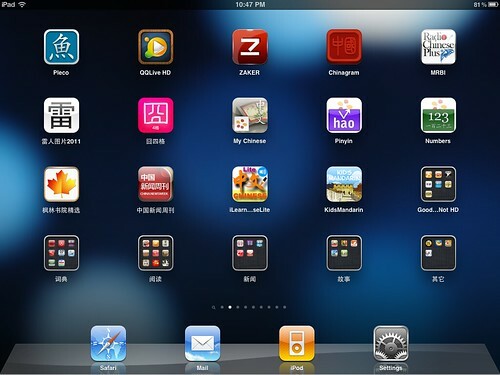 I know I haven’t been exhaustive in my search for good iPad apps; I’d love to hear recommendations! I got a first generation (2G) iPhone in 2008. Then I switched to an Android in 2009. As of this past weekend, I’m back on an iPhone (3GS). Why? 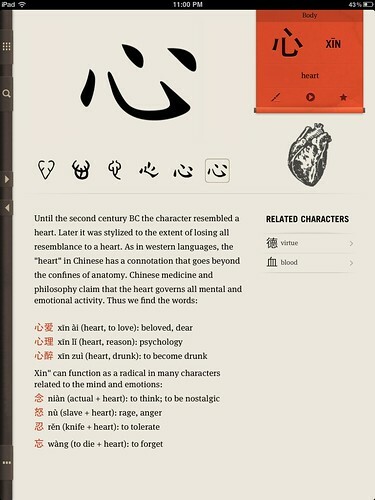 I’ll spare you most of the geekery… it’s largely related to Chinese. 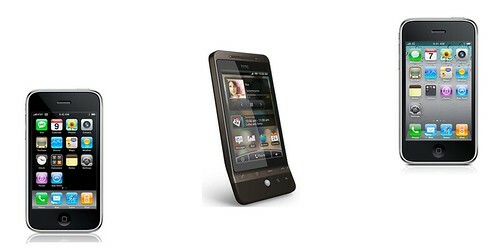 The HTC Hero was a pretty solid early Android device. The new smartphones running Android 2.2 are way better now, though. I’m aware of this. It wasn’t just about upgrading hardware and getting the latest OS. I don’t really care that the iPhone has more apps, snazzier apps, and more games. 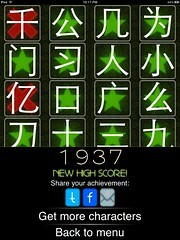 Unfortunately, with the app advantage the iPhone pulled off another important victory: better apps for learning Chinese. 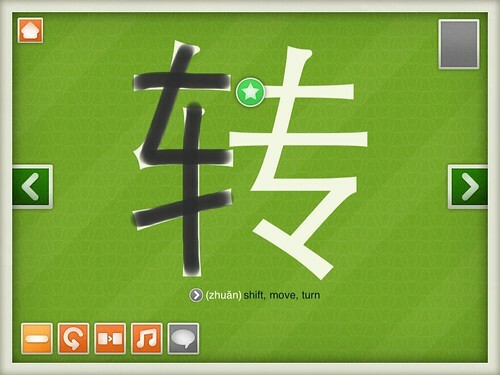 As a learning consultancy, AllSet Learning also recommends various tools for learning Chinese. 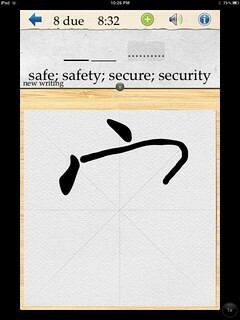 Well, I’ve got to admit: the iPhone is now the best tool out there for learning Chinese. For myself and for my clients, it’s the phone I need to be using. 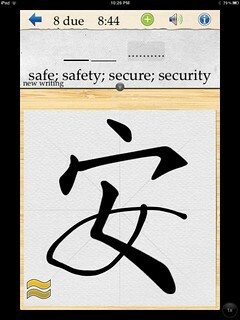 – The iPhone has quite a few dictionaries available for the student of Chinese. The free ones are decent, but if you’re willing to shell out a little money, you can buy some very good dictionaries. 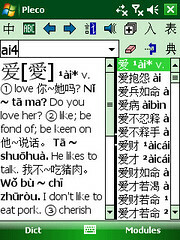 Popular choices include Pleco, Cambridge English-Chinese (not free), iCED, Qingwen, and DianHua. 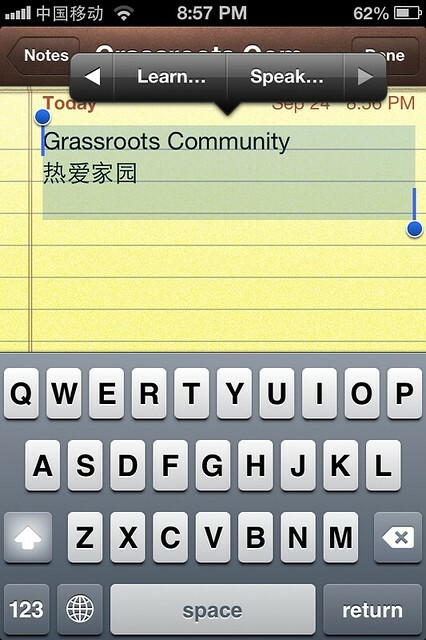 – Switching between input methods in the iPhone is instant and easy (especially if you only enable English and one Chinese input method). This is something I do so often that even a slight advantage starts to really matter. 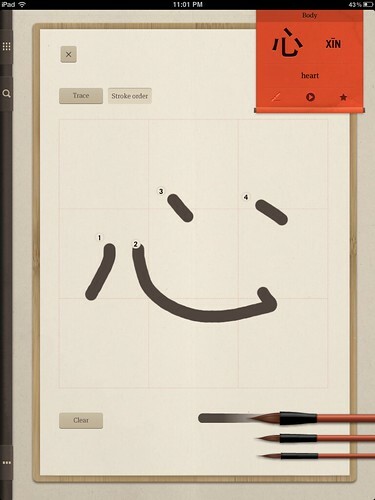 – If you’re interested in handwriting recognition for Chinese (and this is a great learning tool in itself), Apple’s solid version of that is built into the OS. – Ummm, have you seen Pleco OCR? – No good dictionaries. I don’t even know what everyone uses. Hanping? 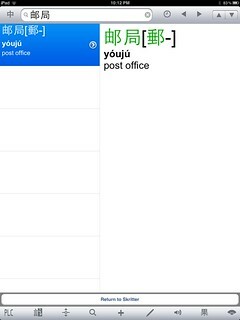 Honestly, until I heard about Hanping (which, although serviceable, is a very basic CC-CEDICT dictionary), I was just using the mobile version of nciku. – It’s getting Pleco someday, but who knows when? OK, but nothing is totally one-sided… There are a few other points I should mention. 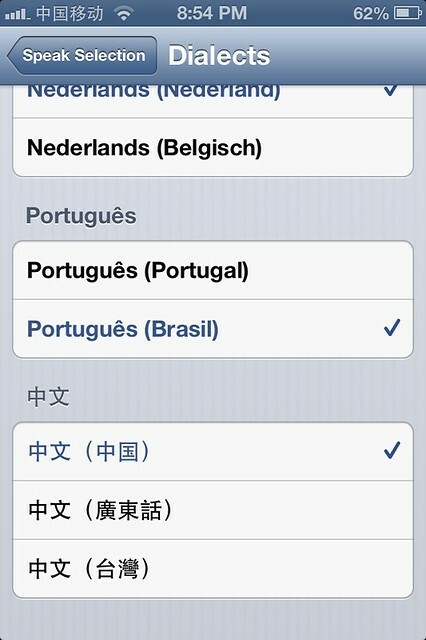 – Google Maps is still messed up in Shanghai on the iPhone. What’s up with this? It always places you some 300-500 meters northwest of where you really are. Apple blames Google. 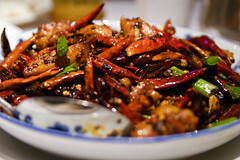 (Google Maps works just fine on Android devices in Shanghai.) This is seriously annoying. – Google Maps just works. 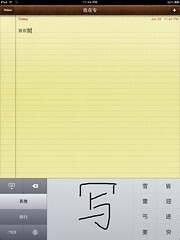 An iPhone 4 that’s usable in Shanghai is still super expensive, which is a major reason why I got a 3GS. The iPhone 3GS and the high-end Android devices are comparably priced. I was tempted to check out one of the Android phones, but I can’t ignore those iPhone advantages. I’m fickle, though… we’ll see how things develop over the next year. 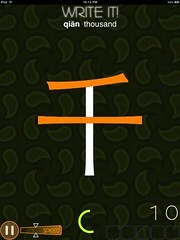 Pleco for iPhone is out! 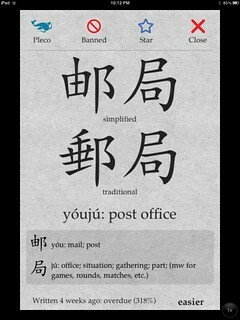 After reviewing the beta version, interviewing Michael Love on the app, and commenting on beta testing progress, I’d be remiss not to note that the Pleco Chinese Dictionary iPhone app is out. 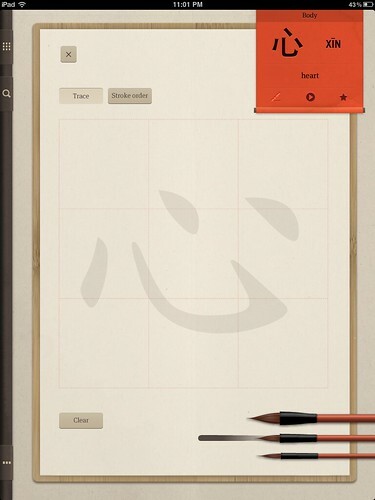 And the really great news is that the basic app is free! 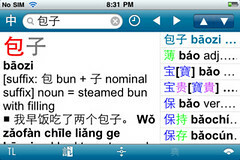 > Go to itunes.com/apps/PlecoChineseDictionary to instantly download the free basic version of Pleco for iPhone / iPod Touch; you can add on more advanced features / dictionaries from right inside of the app, but the basic version is an excellent little dictionary in its own right (and includes the same wonderful search engine as our more advanced software). 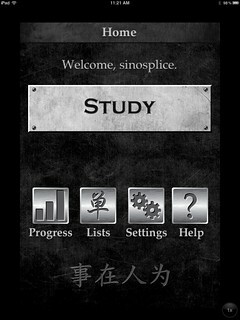 If you own an iPhone and you’re studying Chinese, get this app!